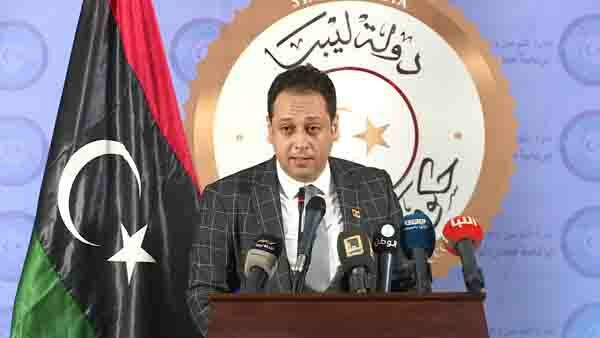 The official spokesperson for Faiez Serraj, Mohamed El Sellak, said that the UNSC had responded positively to Libya’s request to establish an audit committee for Libya’s central banks (Photo: PC). The UN Security Council has responded ‘‘positively’’ to the letter from Faiez Serraj, the head of Libya’s Presidency Council, requesting the formation of an ‘’international technical committee’’ to review and audit the expenses, revenues and transactions of both of Libya’s Central Banks in Tripoli and Beida. The revelation was made by Mohamed El-Sallak, official spokesperson for Faiez Serraj during his weekly press conference on Monday. Sallak added that the details of this audit – the implementation mechanism and how it will be applied in practice – are still under consultation now and that these and what action will be taken, will be explained later once agreed upon. The positive UNSC response to Libya’s request comes on the back of Faiez Serraj, the head of the Presidency Council and internationally-recognized de facto Prime Minister of Libya, issuing a statement on 11 July calling on the UN Security Council to form an international technical committee, on an urgent basis, under the auspices of the UN, with the assistance of specialized international, financial and economic organizations, to review all income, expenses and transactions of the Central Bank of Libya in Tripoli and in Beida. The call by Serraj was seen as an attempt to satisfy Libyan National Army Commander Khalifa Hafter in response to his accusation that the Tripoli CBL was financing terrorists, including Ibrahim Jadran. The action is aimed at achieving ‘‘the principle of impartiality and transparency and to face a very serious situation’’, the Presidency Council statement on the matter had said. The Presidency Council statement had added that this move was in the public interest, clarifying the reality of the financial situation for all and the expenditure of the previous period of any institution without exception. The move will contribute to the consolidation of the country’s financial and economic institutions on a sound basis, enhance confidence in the functioning of these institutions, improve the economy of the country and support stability, the statement concluded. The Tripoli CBL has also welcomed Serraj’s call for the formation of an audit committee. The matter of an independent international audit of Libya’s oil money had arisen after a series of interlinked events set off by ousted former Petroleum Facilities Guard Commander (PFG) Ibrahim Jadran. Hafter and his LNA had handed over the oil facilities in the eastern oil crescent to the eastern-based NOC. This came on the back of the LNA recapturing the oil crescent after Ibrahim Jadran had captured them on 14 June. This, in turn, had led to the NOC announcing a force majeure on 2 July in response to Khalifa Hafter and his LNA action. Hafter’s move had been widely condemned by the international community. The return of the oil crescent by Khalifa Hafter and the LNA to the Tripoli-based NOC had come on the back of concerted international pressure on him. Libya’s National Oil Corporation (NOC) subsequently went on to announce the lifting of force majeure in the ports of Ras Lanuf, Es Sider, Hariga and Zuetina after it reported that ‘‘the facilities were handed over to the corporation’’. It had said that oil production and export operations would return to ‘‘normal levels within the next few hours’’.